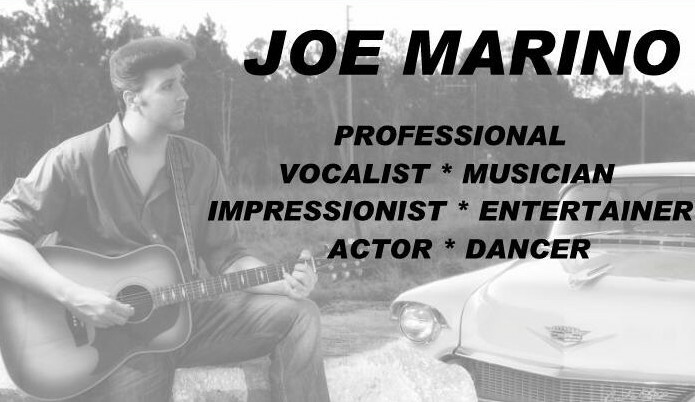 Owner and Founder of Elvis Entertainment, Inc.
Joe Marino is a professional 'quadruple threat' entertainer who possesses the rare ability of being able to instantly connect with his audience, no matter what the situation may call for. 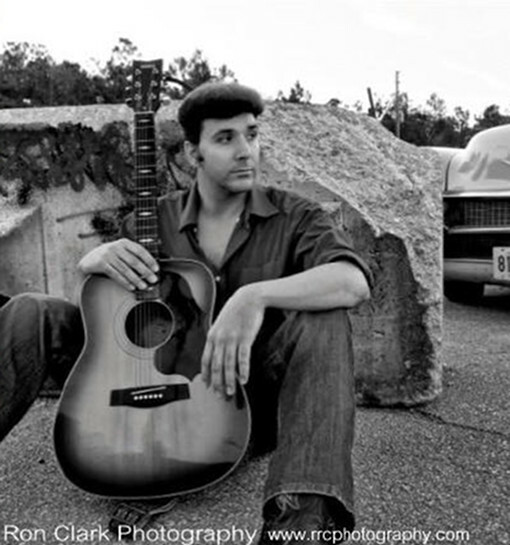 A professionally trained singer, musician, actor, and dancer, Joe has been constantly performing since the age of eight, beginning with musical instruments....and eventually became very proficient in piano, organ, guitar, bass, drums and voice. As a child, Joe was essentially raised by his grandparents...and being exposed to his grandparents' musical tastes ...developed a passion for 50's and 60's Rock and Roll, Doo Wop, Motown, and of course... Joe also loves Frank Sinatra, Dean Martin..and all the crooners of the past decades. As a child, Joe also found that he had a supreme talent for mimicry, whether it was vocal, musical or acting ability....and performed every chance he got as famous celebrities, singers, and musicians....duplicating every vocal nuance, guitar riff, piano chord, or body movement. Joe spent the next two decades honing all of his abilities to a razor sharp edge....parallel to the great Bobby Darin's life story..... and was taught by old school professionals on what it takes to be a true, well rounded performer....not just a singer or a musician.....but a professional entertainer that develops a bond with their audience right from the start, and one that can utilize all their talents rolled into one power packed show. Joe began his career as a professional tribute artist...paying homage to some of the most famous and well loved celebrities in history such as: Elvis Presley, Buddy Holly, Johnny Cash, Jerry Lee Lewis, Roy Orbison, Tom Jones, Ray Charles, Frank Sinatra....and of course....Bobby Darin, to name just a few. Joe is still available today to recreate any one of these famous artists: completely down to their voices, movements, playing ability, and costuming. The tribute artist's world is a fun one, but it is limiting as far as getting work is concerned.....let's be realistic. So....Joe found a way to adapt and make his show better than just as a tribute artist in the years past. Joe put together a tight music group that consists of the best professional musicians/singers/entertainers this side of Las Vegas....and for the last 15 years has earned their status as one of the most sought after and well respected bands in Southwest Florida. Joe Marino and his 5 piece group: All The King's Men are an extremely versatile band that can play music from any decade...not just the 50's and 60's. Joe learned that if you want to survive in the entertainment game....you have to be willing to adapt, improvise and overcome. Although they have been called upon in the past mostly for 50's and 60's Rock and Roll and Doo Wop music....Joe is proud to be able to present his group now with the ability to play more Motown, Disco, 70's, 80's, 90's and Modern Top 40, Island Tropical, Classic Rock, Jazz, and just about any other music your event may call for. Joe Marino and All The King's Men are expandable up to 7 pieces with the addition of a female singer and a saxophone player...or can be offered as either a four piece, three piece, duo, or just Joe Marino himself as a solo act with your choice of him playing guitar, piano, both....or just singing along to music tracks with no instrumentation. The possibilities and combinations are endless. Shows can be tailor - made to accommodate any budget. Joe has several other personal bands that he has founded and can be offered at your next event! Question 1 - Is that your REAL hair or what? Answer - Yes it is. I don't wear wigs, toupees, or any kind of weave. It is 100 % my real hair I was born with. I just have a lot of it! Question 2 - How tall are you? Answer - I'm 6' 2 1/2"
Question 3 - How did a young guy like you get into oldies music? Answer - I was raised by my mom and grandparents, who loved 40's, 50's, and 60's Rock and Roll. Being exposed to that music since I could crawl, I just gravitated towards the music of Elvis, Jerry Lee Lewis, Buddy Holly, Johnny Cash, etc. It just called to me and seemed to say, "come," so here I am, living my dream life, making people happy through the gift of music! Question 4 - Do all of these cool cars really belong to you? Answer - Yes, they really are my own cars that I’ve worked very hard to acquire and restore. I love them all, but I'm a Cadillac man at heart, and nothing screams "Rock and Roll" more than a pink 1959 Cadillac! I enjoy collecting and personally hand-restoring the classic cars I grew up dreaming about owning one day. Each one of them has a special meaning for me! It's an addiction, for sure. My friends all call me Jay Leno Junior because I'm now up to 7 cars and counting! Question 5 - Which celebrity is your favorite to imitate? Answer - Even though I began my career as a professional Elvis Presley Tribute Artist, my favorite celebrity to imitate would have to be without a doubt...Jerry Lee Lewis! There's not a lot of guys out there that can do him justice regarding the voice, the look, the mannerisms, and piano playing ability combined with the live action stunts. It's fun to just go crazy with attitude onstage like he did, and I enjoy the audience reactions to it! Listening to Jerry Lee's music when I was a kid is what made me want to learn boogie woogie piano!